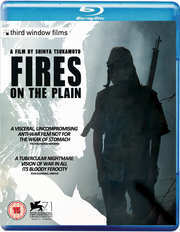 Fires On The Plain: region all import~ntsc~A Kon Ichikawa film. In the final stages of WWII, the occupying Japanese army in the Philippines is rapidly losing ground, facing local resistance combined with an American offensive. The final few Japanese survivors, having almost been wiped out, have crossed the threshold into a realm where there are no friends, no enemies and no God. 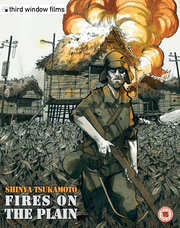 New audio commentary by Tom Mes, author of "Iron Man: The Cinema of Shinya Tsukamoto"